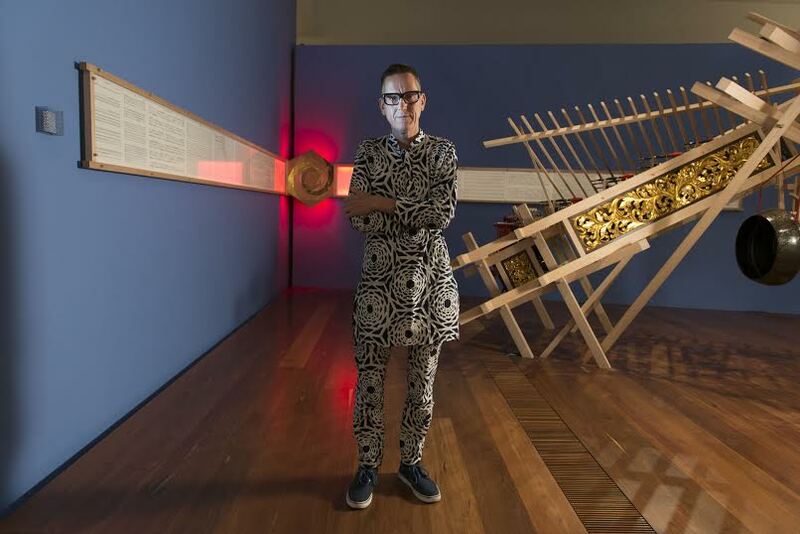 What the National Gallery of Victoria is trying to do with the Melbourne Now exhibition is to define the identity of Melbourne through its cultural practices, with a special focus on contemporary art. I’m in Italy now, ironically writing my book about emerging artists in Melbourne, so I couldn’t visit the exhibition. Luckily my Australian friends and the artists that I have interviewed always keep me updated. 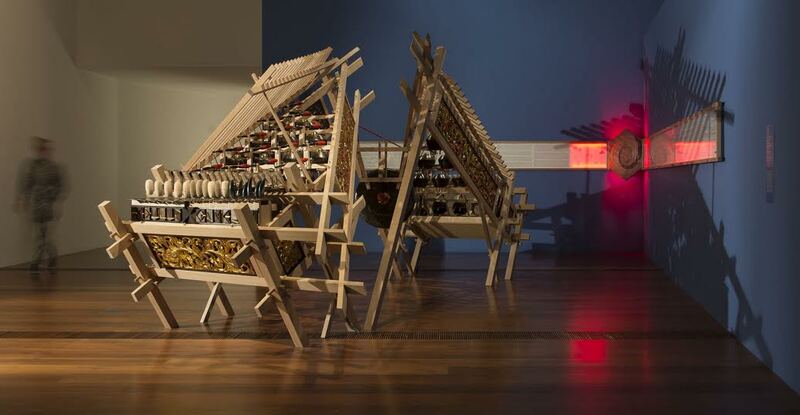 “Sedulur Gamelan (Gamelan Sisters) consists of two interlocking wooden structures that reconfigure elements of traditional Javanese architecture through the De Stijl philosophical principles of neoplasticism to create an abstraction of an 18th century double grand piano. Slave Pianos is composed by Rohan Drape, Neil Kelly, Antanas Kesminas, Danius Kesminas, David Nelson, Michael Stevenson. 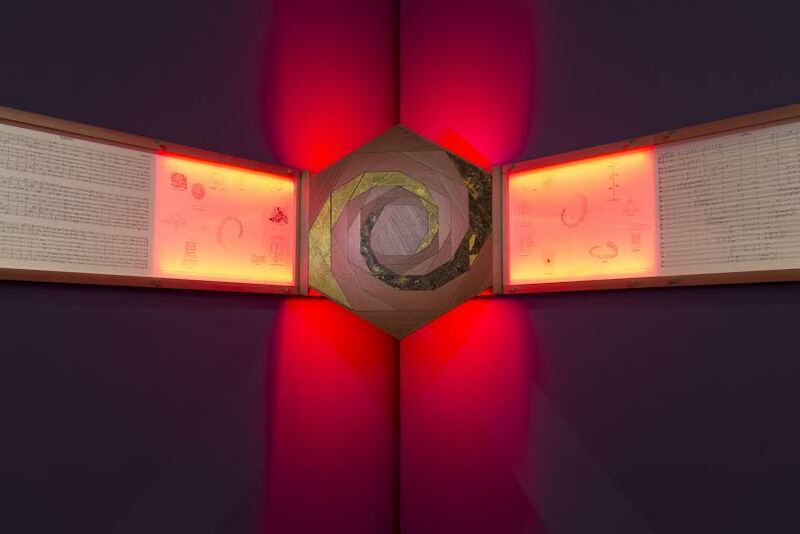 The show will be from the 22nd of November 2013 to the 23rd of March 2014 at the National Gallery of Victoria. You can see the whole process of building the work on Slave Pianos’ website. 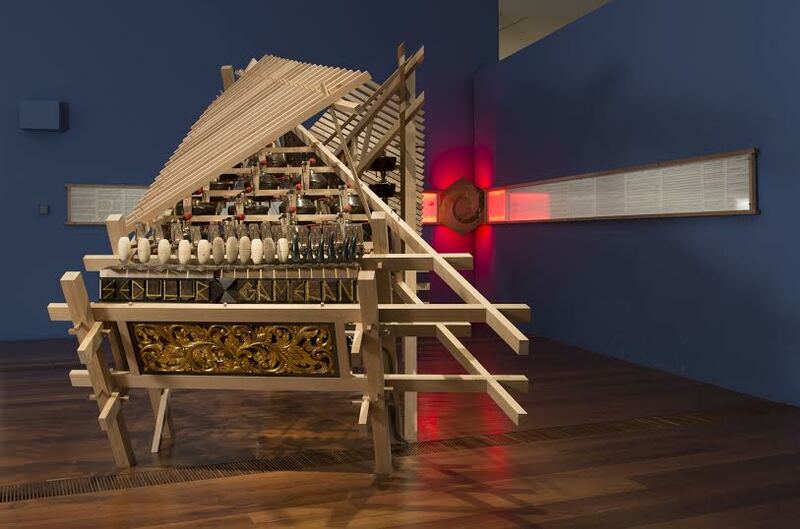 The Sedular gamelan will be put to use in Melbourne this weekend (12 & 13 April) – as Slave Pianos are putting on a show using the wooden structure at Arts House.